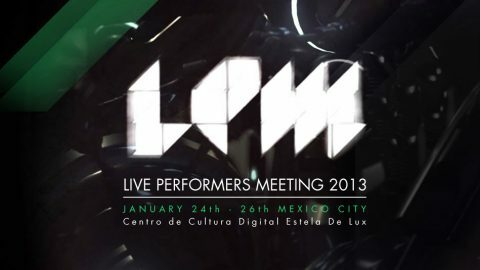 LPM 2013 MEX Call for proposals!!! We’re ready!!! The website of LPM XII edition is now on-line. LPM will take place from 24th to the 26th of January 2013 at Centro de Cultura Digital Estela de Luz in México City and from today THE CALL FOR WORKS IS OPEN! The venue of LPM 2013 MEX is Centro de Cultura Digital Estela de Luz in México City, a location that perfectly fits the needs of the Meeting, but also informs the event with a prestigious ‘touch’, both at national and international level. LPM maintains the 3 days formula and, as usual, proposes a spectacular, innovative and engaging programme, and you too will have a chance to make our edition unique. If you wish to participate to the Meeting, but you don’t want to perform, subscribe anyway as you will have an incredible opportunity to meet hundreds of live video artists, experts and practitioners, so to further your knowledge of the hottest topics related to live video performance. The aim of LPM is to promote and diffuse the free circulation of ideas, knowledge, techniques and languages related to LIVE VIDEO practice, which will be the main focus of the Meeting. LPM is produced and organized by Flyer Communication, with the support of the European Commission Culture Program.